Sweet and sophisticated, the subtle vintage styled Britta necklace by Louce. In 12k soft gold plating, a mini chain with double gold heart and pearl detail. Fabulous for a romantic vintage inspired glam look. 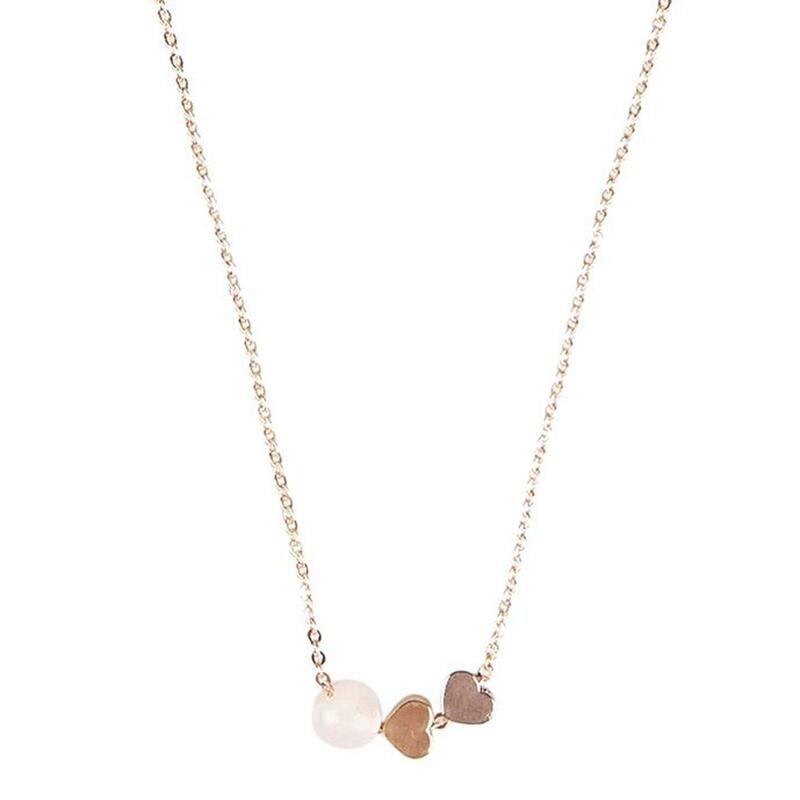 - Louche Britta mini double heart and pearl pendant necklace in gold. - 12k soft gold plating. - Rose quartz stone "pearl". Composition: 100% metal (gold plated).